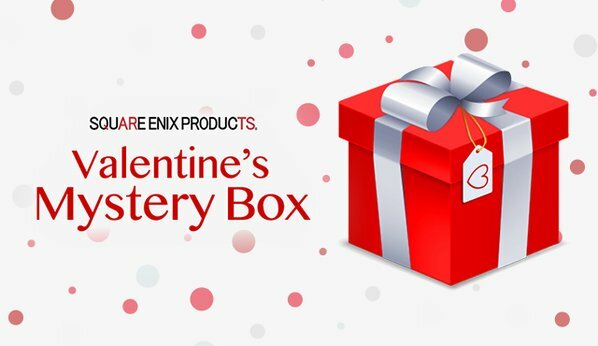 We got the opportunity to get our hands on one of the 200 Valentine’s Mystery boxes that Square Enix is selling this year. The contents of the box are different to the ones sold in the past so you don’t have to worry about getting an item twice. Each Mystery Box was sold for about £45.99 and is said to contain contents valued at a total of at least £55. You can watch one of our staff members unbox the mystery box below. The Nova Crystallis team would like to wish everyone a happy Valentine’s Day. Posted in Reviews, Square Enix, Videos. Aint nobody wanna be my Valentine. Looks like stuff you could buy normally… Not very exciting. There’s always hope next year, big guy.